Last week I asked if there were any of you out there that would like to share their DIY crafts you’ve been working on. I was so amazed at all the beautiful projects that were sent in to me! There are so many really creative people out there. So without further ado, here are some of the awesome projects. 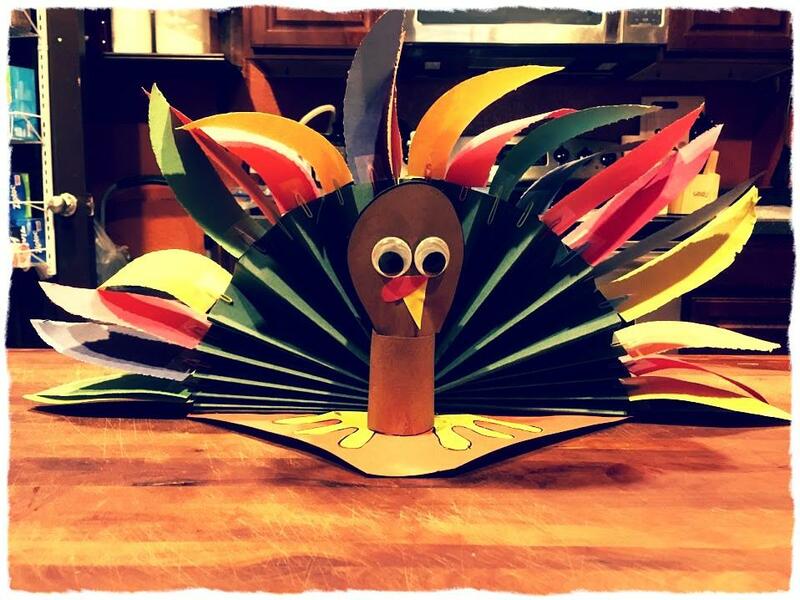 Nisha Arnold at http://busytykes.com sent in this adorable Thanksgiving centerpiece: Nisha wrote” We use paperclips to add the feathers and each night at dinner we write down what we are thankful for” You can see the full tutorial here for their Thanksgiving Thankful Turkey Your project is so adorable! I love that the whole family is involved, truly inspirational, thank you Nisha. To see her complete tutorial, check it out here: https://haphazardhomemaker.com/category/garden-art/ Want to see another adorable idea Robin had for her garden? Doesn’t she look so whimsical in the garden? I love this Robin..you’re so creative Robin! I just love all these wonderful ideas! Thank you so much for sending in your creations to share! If you would like to share some of your favorite creations, please send to me at kelleysdiy@gmail.com and I will share them with everyone next week. Don’t be shy! Each person who posted a project will be automatically entered twice in the rafflecopter giveaway this month….yay!! Previous I Have an Idea, You Can Help! Ooh, that cake looks absolutely delicious! Doesn’t it!!! My mouth is watering!!! Are you pulling out your Christmas bins yet? I love the Thankful Turkey – such a great activity! Also, Laura’s lampshade and cake – isn’t she incredibly creative? Wow! Will do, darling – tonight, hopefully. Have a blessed Thanksgiving! Hello Dolly! I hope you had a blessed Thanksgiving! We did, and I hope you did as well, darling! I sent you an e-mail with stuff. I did and will be posting. Thank you so much honey! You are such a beautiful lady inside and out! Don’t know about that. I believe my granddaughter took over the task of being beautiful. I happily conceded and delegated myself to the kitchen, to make beautiful dishes. Honey, Laura, You deserve every word!!! You are just sooooo sweet! I love your blog and everything in it! Your just sooo creative. Send more if you like! We all loved your creations! I am still waiting for that piece of cake!!! And I love yours, dear Laura! You are soooo creative, it blows my mind! Me too! She is really a sweet heart! I wish mine lived a little closer…like next door! Mine is 1300 miles away! Of course, there are the little ones from my adopted son, and I love them, but my Alisia is a copy of me in every way. Ohh, what an exciting age!! You must have so much fun with her! Does she bake like grandma? I have all kinds of fun with her, the few days every year that I get to see her! I don’t think she has enough time to wipe her own nose – that’s how busy she is. But she always clears time for me to cook or bake something together when we visit, or just to chat – just us girls. Oh that is so wonderful Dolly. Such precious moments….stay in our hearts all year long! Of course Robin!!! Love yours too!! I love the lady in the garden..so precious! Thank you! I’ve got a post started on making her. Oh Good! She is just adorable. Everyone that sends me a craft gets 2 entries in giveaway! Love this sweet idea Kelley! Those are all adorable ideas. Thank you for including me. Everyone just loved your turkey!! I am sure some did this with their family! Thank you so much Tracy!!! You are one clever lady!!! I can’t believe I have two of the same chairs!Any other crafts, I would love to see them by Monday for next week!